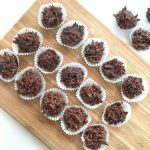 These Chocolate Speculoos Crispies will never disappoint!! I promise. Nothing can go severely wrong with these two combination. Chocolates and Speculoos ( Or cookie butter who some may call it ). I got my buddy addicted to this lethal combination of Speculoos + chocolates in Belgium. I think she kind of hated those 2 but when we first tasted these Speculoos Chocolate Crispies from The Chocolate Shop, we were hooked. I made a silent promise to her that I would made them specially for her sometime. SO there we go….. Sherbakes very own version of this non baked Chocolate Speculoos Cookies! It’s funny how sometimes an ingredient we do not like on its own can be transformed into something lovable! For me I hate celery ( I’m still trying to find the purpose of celery in my life. No matter how much benefits it has, I just can’t succumb myself to putting it in my mouth. That smell…. Ughh it makes me gag sometimes. BUT an exception will be my Mum’s celery with prawn stir fry. That I can accept – at least. This recipe consist of just 3 ingredients! Chocolate- I use a 55% chocolate for this one. If you like your crispies less sweet, you can always use a darker chocolate. I will recommend 75% and up since Speculoos on its own is already pretty sweet. Speculoos- Just save yourself the trouble and buy a jar. A BIG JAR! I swear by the Lotus Biscoff brand. I have tried a lot of brands but the lotus brand still taste the best and I usually get the ones with crunchy bits for texture. Have you tried spreading it on crackers? IT’s HEAVENLY. And lastly you’ll need white rice puffs for that crispy texture. 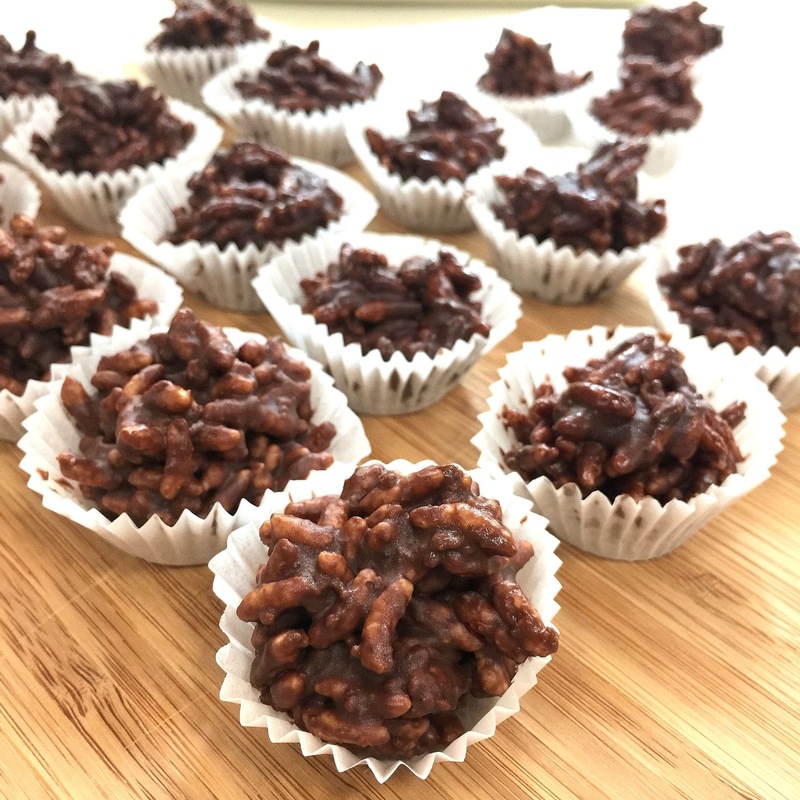 You can go whack yourself out by getting chocolate rice crispies but it’s not necessary since the chocolate and Speculoos will well coat the entire mixture. You will be amazed at how easily this can be put together for parties, birthday celebrations, Friday Movie Snacks or purely for enjoyment purpose. Add in rice puffs and mix together. 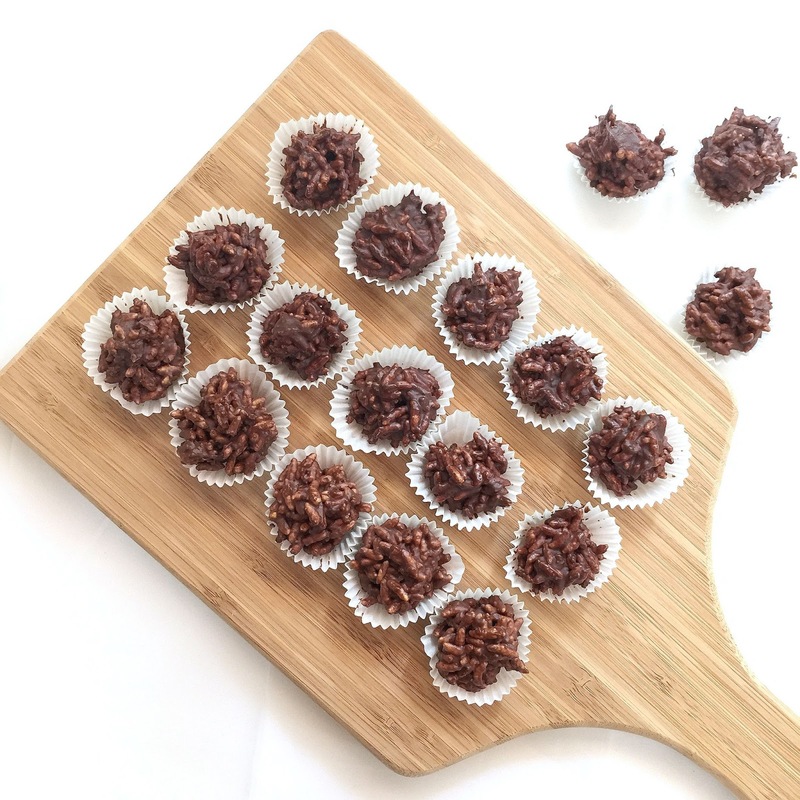 Fill mini cupcake liners with rice crispy mix and refrigerate till fully set and hard. They look delicious Sheryl! I’ve never tried speculoos but it sounds like I need to! Also love that these are just 3 ingredients!